Rebreathers used to be only for technical diving, but not any more. New Type R (recreational) rebreathers are lightweight, easy-to-transport and have sophisticated electronics to simplify their use. 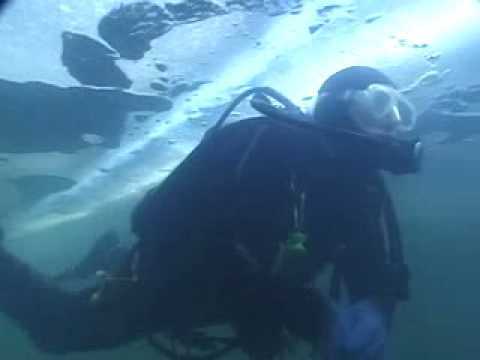 Why dive a rebreather? You get longer no stop limits, reduced gas consumption because you reuse most of your exhaled gas, and unmatched wildlife encounters because you don’t release annoying bubbles. The PADI Rebreather Diver course introduces you to rebreather diving to a maximum depth of 18 metres/60 feet and lets you experience things you never imagined possible as a scuba diver. Note that qualifying certifications from other diver training organizations may apply,ask your PADI Rebreather Instructor. Get the PADI Rebreather and Advanced Rebreather Diver Manual from your local PADI Dive Shop and start studying immediately. For this course, you need to read the manual introduction and first three chapters. You’ll also get a PADI Rebreather and Advanced Rebreather Diver Key Skills video and a PADI Type R Rebreather Predive Checklist Slate to help you prepare for your dives. You will want to have your mask,fins and exposure suit. Snorkels are optional, but a collapsible snorkel can be carried in your pocket. You will also need a Delayed Surface Marker Buoy (DSMB) and reel. Your PADI Rebreather Instructor will advise you about the Type R rebreather you will learn to use. After certification as a PADI Rebreather Diver, you’ll need to qualify if you want to use a different rebreather model because procedures vary with each model. However, you don’t need to repeat the entire course. Just take a PADI Rebreather Qualifier program that focuses on the knowledge and skills needed to use a different Type R rebreather model. Enroll in a PADI Rebreather Diver course at a PADI Dive Center or Resort.